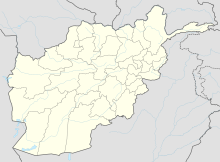 Jalalabad Airport (Pashto: د جلال اباد هوايي ډګر‎; IATA: JAA, ICAO: OAJL) is located 3 miles (4.8 km) southeast of Jalalabad city in Afghanistan. This airport is currently being used only for military purposes and sometimes the United Nations' aircraft use this airport. It is occupied and maintained by the United States Armed Forces and civilian contractors. They operate out of Forward Operating Base Fenty, which is adjacent to Jalalabad Airport. The Afghan Air Force (AAF) and members of the International Security Assistance Force also use the airport. On 30 June 2010, a car bomb was set off and militants stormed the airport. According to Zabiullah Mujahid, a Taliban spokesman, said the Taliban were responsible and killed 32 Afghan and non-Afghan security forces. According to NATO, there were eight Taliban deaths and one Afghan and one coalition member injured. Currently, there are no scheduled airlines operating at Jalalabad Airport except military and UN aircraft. 11 people, including 6 United States Airmen and 5 passengers and 3 local nationals, were killed when a C-130 Hercules aircraft crashed shortly after take-off from Jalalabad Airport on 2 October 2015. ^ "AIP Afghanistan - Important Information". Archived from the original on 17 June 2016. Retrieved 10 May 2016. ^ Barbara Starr and Theodore Schleifer, CNN (1 October 2015). "11 dead as U.S. aircraft crashes in eastern Afghanistan - CNNPolitics.com". CNN. Retrieved 2 October 2015. This page was last edited on 30 September 2018, at 07:17 (UTC).